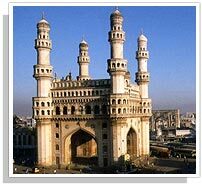 You will arrive at Hyderabad Airport on domestic and international flights. The terminal has 24 hour snack bars, 24 hour currency exchange, left luggage facility, first-aid and pay phones. Please go through the Green Channel if you have less than US$ 10,000 on your person or if you have no unaccompanied baggage. Please use the Red Channel if you have anything to declare and if you are carrying foreign currency in excess of US$ 10,000. In case your hotel has not provided an airport transfer or if you wish to make your own transfer arrangements on arrival, please contact the Welcome Staff for information.